Click on the video below, provided by The Gregory Brothers, to see Joey nail himself to the NRA cross with this epic tune. Share it with all your friends, and “like” the The Gregory Brothers page! We respect Barack Obama for going on CNN to talk gun control with Anderson Cooper, but not sure it was the best strategy. 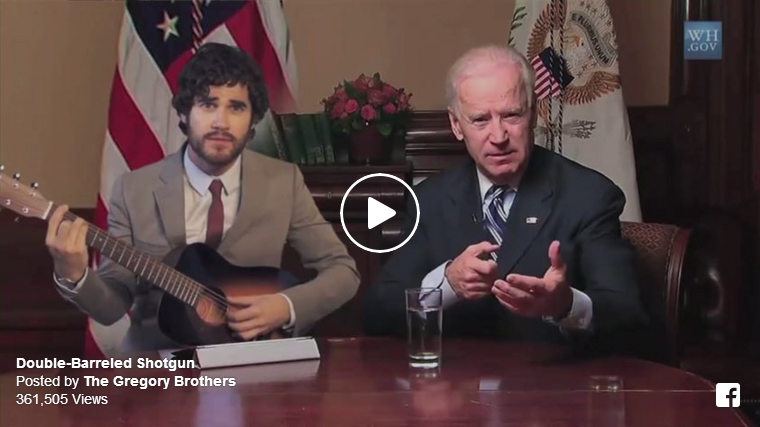 Seems pretty obvious all he had to do was deploy Joe Biden and Darren Criss to sing a song about double-barreled shotguns, and then all americans would agree on the best methods of home defense.